Why do film and TV composers like to work in pairs? Recently I engaged in conversation with two different sets of composers — David Arnold and Michael Price; and John Nau and Andrew Feltenstein — and this sparked an idea. Collaborative composition is not typical in the classical repertoire, but in film and television it's becoming an increasingly popular way of working. In part, this is because an increasing number of film and TV composers are coming from a pop music background, familiar with collaborative music making and shared credit. There are other reasons that collaboration is increasingly prevalent in film and TV composition — especially in TV, where time is most especially of the essence. Film and TV composition is a platform where collaboration is key to success and there's always more than a single cook in the kitchen. The creation of a movie or a TV season is a complicated conversation among creators of the various sound and visual elements required. In some cases, the schedule of the film or show is timed such that no one composer could do all the work — as was the case with The Last of the Mohicans (1992). Trevor Jones started the work and as the film was reedited the score was reimagined — the preference went from electronic to orchestral cues — and Jones's stylings no longer matched the picture. While Jones redid everything to match the new ideas, at a certain point he no longer had the time to rewrite or to write new pieces, so Randy Edelman was brought on to finish. In that case they shared credit even if it wasn't a shared score from the beginning. In other cases, collaboration is driven by artistic considerations. Some pairs of composers divvy up the work. For example, when Hans Zimmer and James Newton Howard worked together on The Dark Knight (2008), they split duties among characters: Zimmer handled the Joker and Howard handled Two-Face. Others, like the teams of Trent Reznor/Atticus Ross or Marco Beltrami/Buck Sanders, work hand-in-hand. Neither way is necessarily better than the other. While there's a cohesion among the scores of the three films in Christopher Nolan's Dark Knight trilogy, the absence of James Newton Howard in the third film (The Dark Knight Rises, 2012) is evident because responsibilities in the first two scores were divvied up so that each composer's expression is more clear on his tracks than if the two had consistently worked on each track together — so when Howard's gone, he's gone. Composers who work on everything together muddy those waters quite a bit — for better or for worse. Here are some notable pairs of collaborative film and TV composers. Holmes is most recognizable for his credits with Steven Soderbergh, but recently he has collaborated with Keefus Ciancia (also known as Keefus Green), who has worked in varied capacities with the likes of T-Bone Burnett, Jakob Dylan, and Beck in addition to scoring films such as The Hunger Games, Spiderman 2, and Superbad. Holmes and Ciancia have now collaborated on the films Diana and The Motel Life, and Good Vibrations. Their music is sensational, incorporating a generous palette of sonic wonder. These two forces first came together in The Twilight Saga: Eclipse, but then crafted a score together for David Cronenberg's film Cosmopolis, and it's stunning: a strange brand of music that can only exist with the combined force of each half of this collaboration. It's difficult to know how well films like The Social Network and David Fincher's The Girl with the Dragon Tattoo would work without the contributions of these two. They've signed on to score Fincher's adaptation of Gillian Flynn's bestselling 2012 novel Gone Girl, which seems right up their alley. It would seem that these two were made to score Fincher's worlds. This collaboration only spans a couple films (The Insider and Ali), but it's significant to the films of Michael Mann. Though Lisa Gerrard's collaborations with Hans Zimmer tend to overshadow these great works, the combination of Gerrard and Bourke is worth hearing. These two have been working together for years and Sanders is always second-in-command on Beltrami's productions. Occasionally, and lately more regularly, Sanders has shared credit with Beltrami as the former's contributions have become more prominent. In interviews, Beltrami has said that the crediting of Sanders is always evaluated so as to appropriately reflect his efforts on the project, but regardless of the specific credit on any given film, it is clear that these two have shaped their arena together. Sometimes they are also share credit with Tom Tykwer when working on his films, such as Run Lola Run or the recent Cloud Atlas, but they do not solely work on Tykwer's films and have carved out a significant place as composers. These two will be most recognized as the sound of Roland Emmerich's films from The Day After Tomorrow (2004) onward. This is blockbuster music with depth. While Nick Cave has played a significant role in rock music for decades, his partnership with Warren Ellis allowed Cave to finally get recognized in a whole different realm of music creation, for the score to the 2005 film The Proposition. Their scoring credits are all astounding — though I will particularly highlight The Assassination of Jesse James by the Coward Robert Ford (2007) — and continue to reveal a quality uniquely theirs. It would seem that this collaboration was a one-off for Master and Commander: The Far Side of the World, but it's an incredible one that manages to create original compositions so consistent with the sounds of the time that upon listening it's not always clear to casual listeners which pieces are from the classical repertoire (Mozart, Vaughan Williams, Corelli, Boccherini) and which are original to the film. 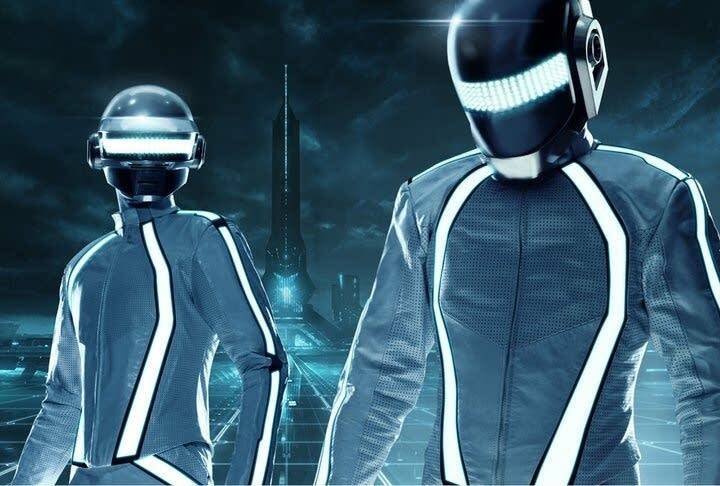 Following on the heels of his success with Daft Punk's score for Tron: Legacy (2010), director Joesph Kosinski enlisted Trapanese, who collaborated with Daft Punk on that score, to work with M83's Anthony Gonzalez on the score to Oblivion (2013). It's an extraordinary work.